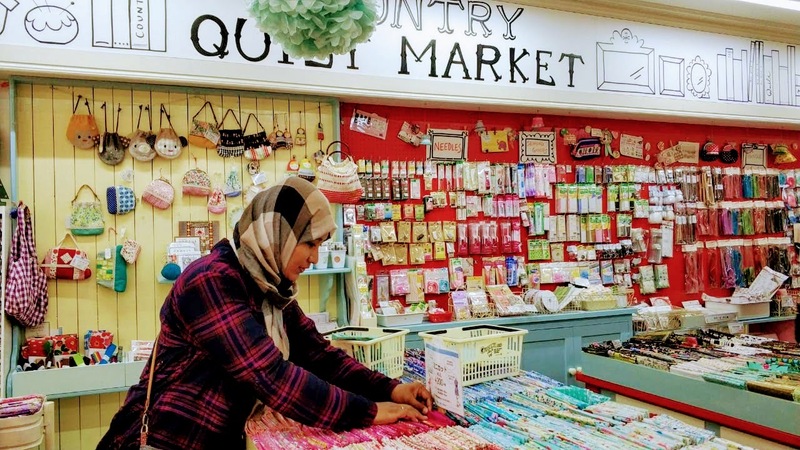 The previous day, we went to Swany and I bought a few half yard cuts mostly suitable for making wallets and bags. 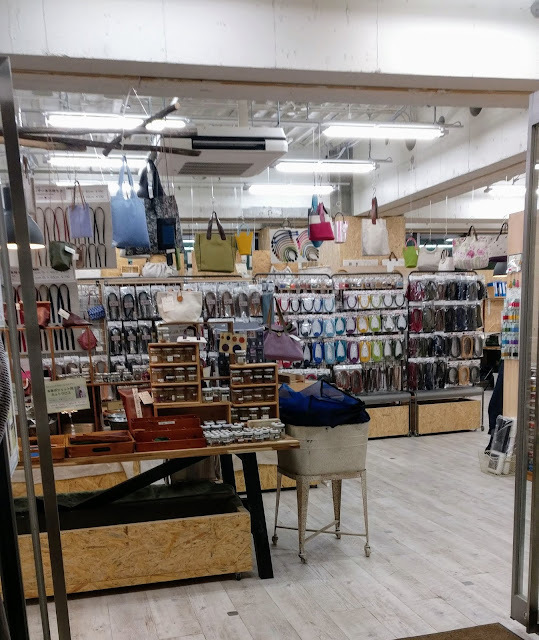 The shop has 3 sections in different floor, but since it was almost closing time, we only explored the 2nd floor which mainly section for bag making. And if your purchase is more than certain amount, you could get any bag pattern for free.Yes, the pattern for all those bags that are on display! They also have a small room where classes are happening. I can easily spend a day in this shop! 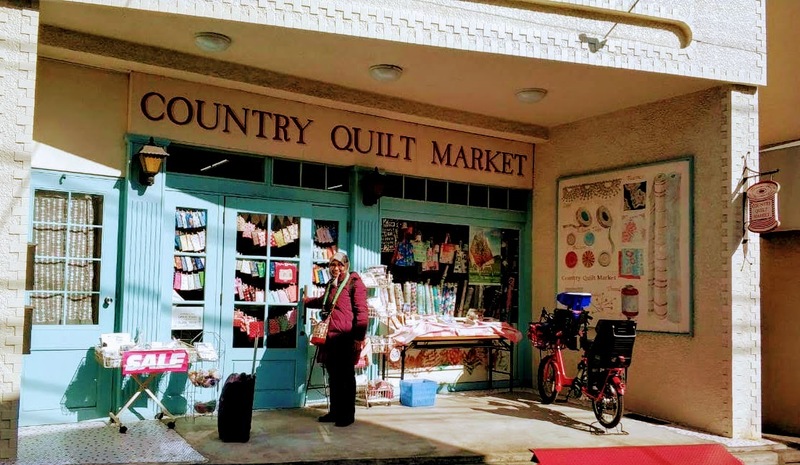 The owners are super nice and they even gave us a free ticket to Tokyo Quilt Show. Opening ceremony tickets! Thank you so much!!! We had an appointment to meet mbak Sari from Handcraftku at lunch time, so we had to leave the shop but not without filling out small suitcase with lovely fabrics! After lunch, we planned to go to another Patchwork Show which according to the post we saw on Facebook was happening in Tokyo Hilton. 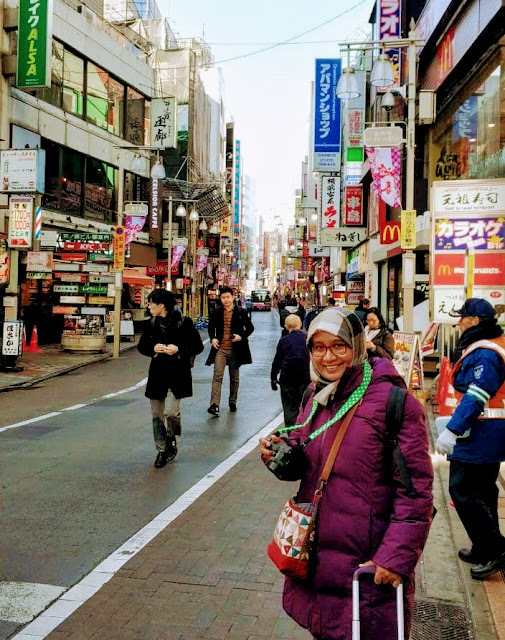 We supposed to catch the shuttle bus from Shinjuku station but we got lost in Shinjuku LOL. Who doesn't?? We could not find the Shuttle bus stand!! 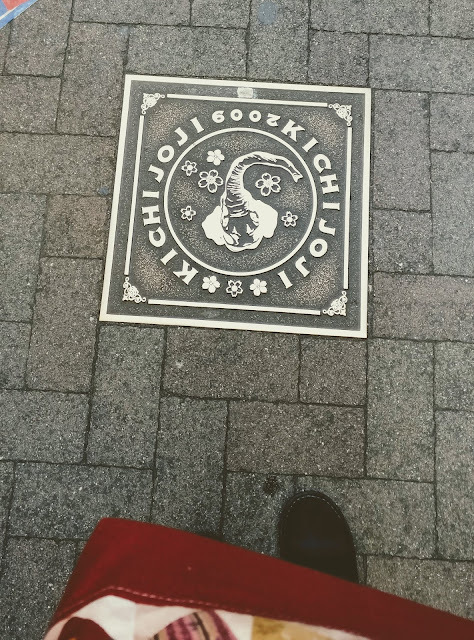 Anyway, it was not meant to be, but there was an interesting story related to this when we were in Osaka. That will be in my next post!! Alright, if you're a muslim traveller and looking for a praying room, there was one in Takashimaya Shinjuku. The room is quite spacious and we spent few mins here to read our prayers. Since the Hilton plan failed and we were in Shinjuku we decided might as well we go to Okadaya. 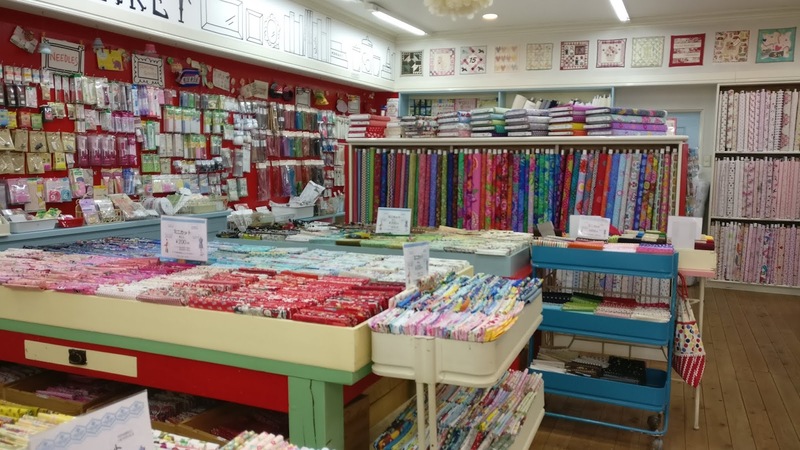 The best thing about Okadaya is they have everything craft related from Quilting, embroidery, knitting, crochet, etc! and plenty of fabrics!! Stay tuned for next post about The Great International Tokyo Quilt Festival.